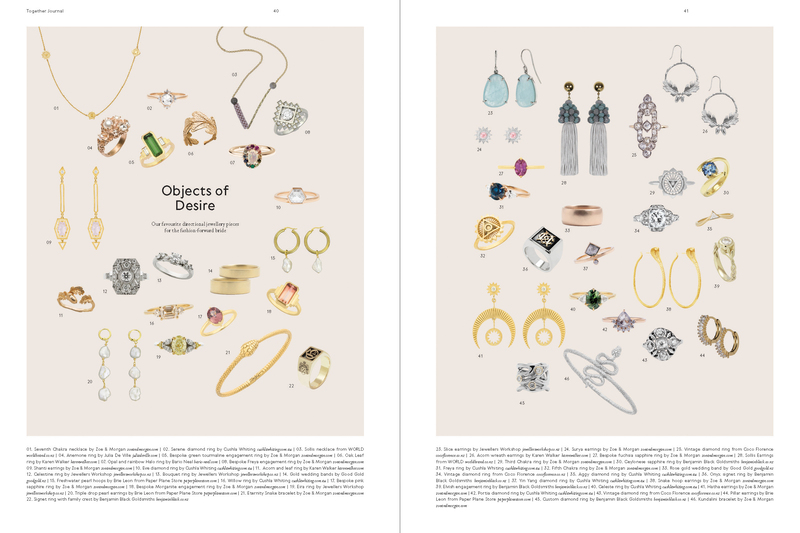 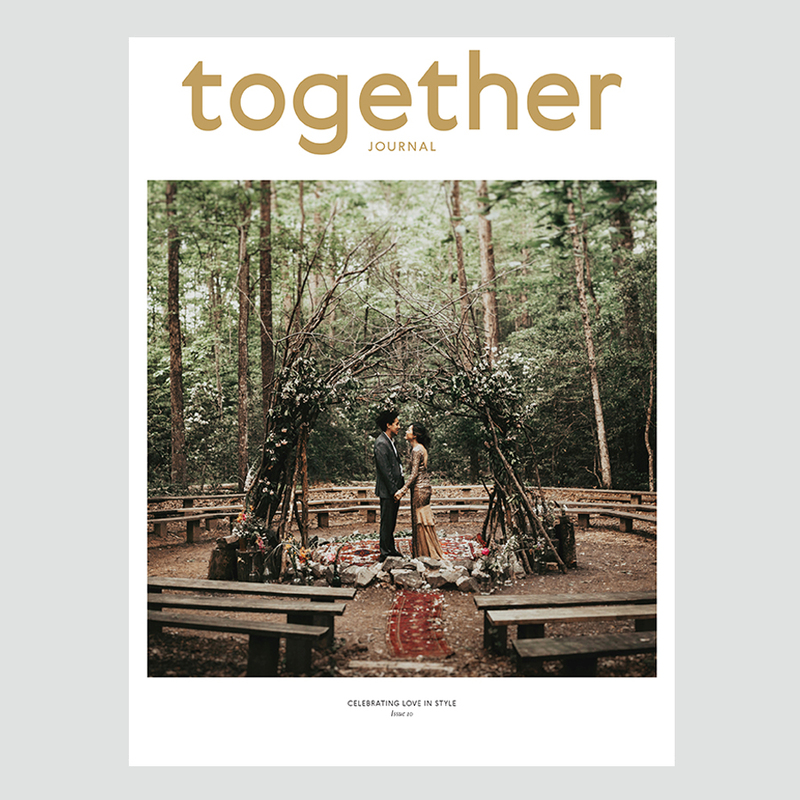 Welcome to our 15th issue! 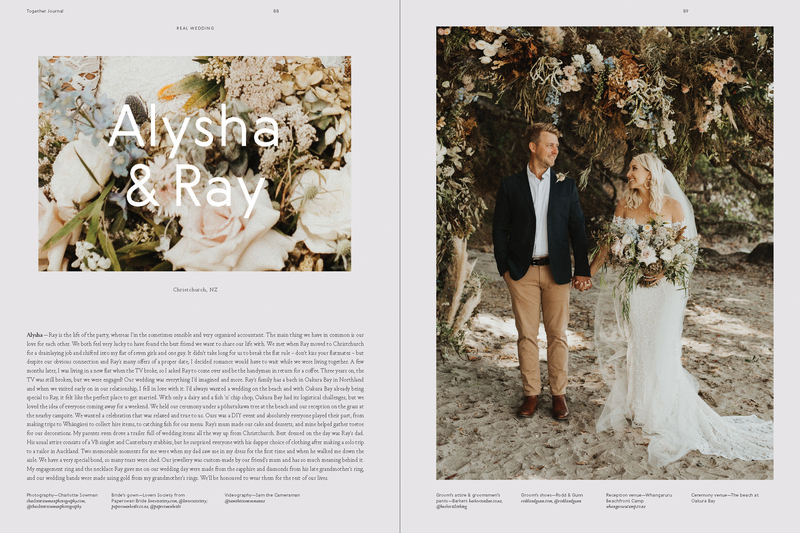 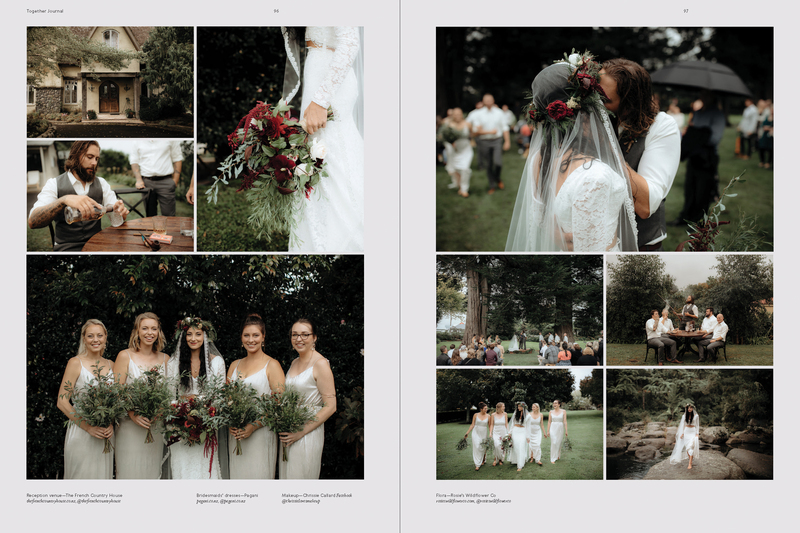 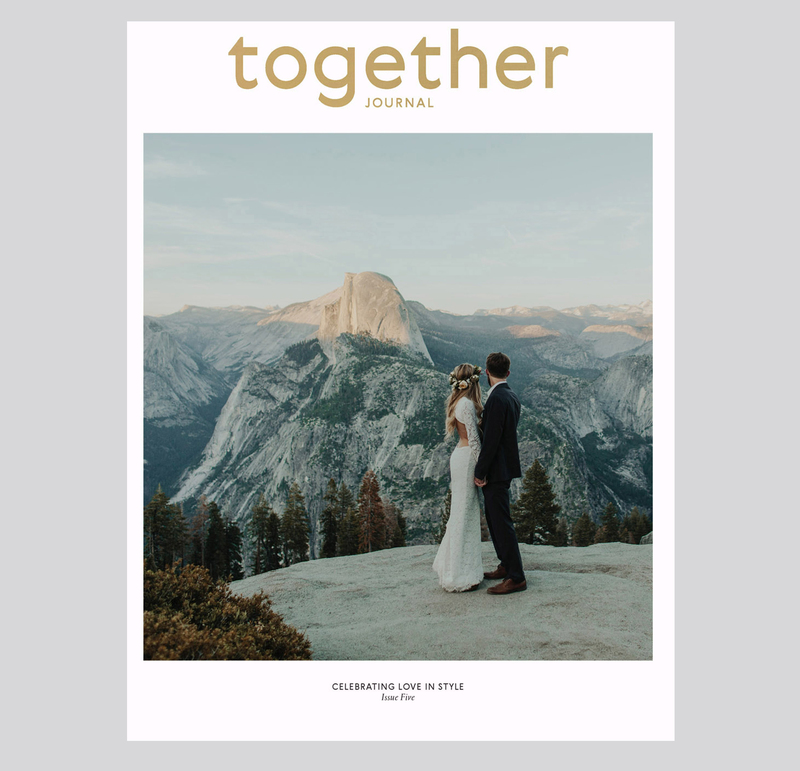 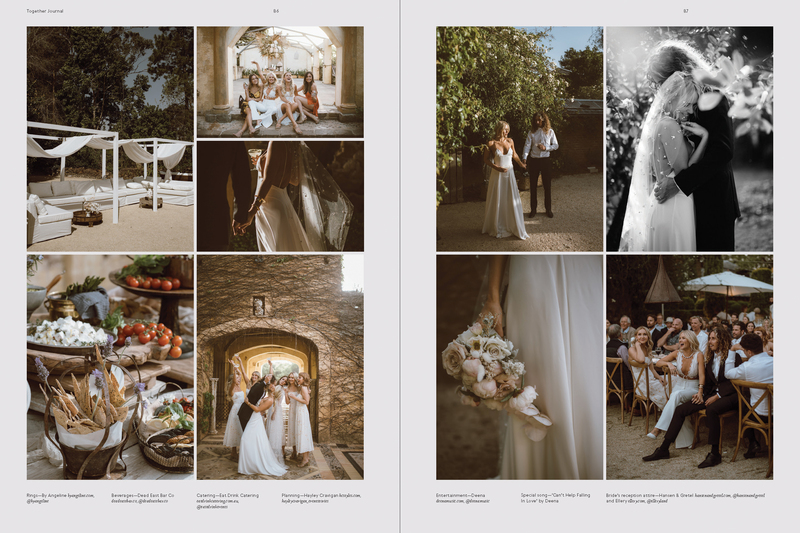 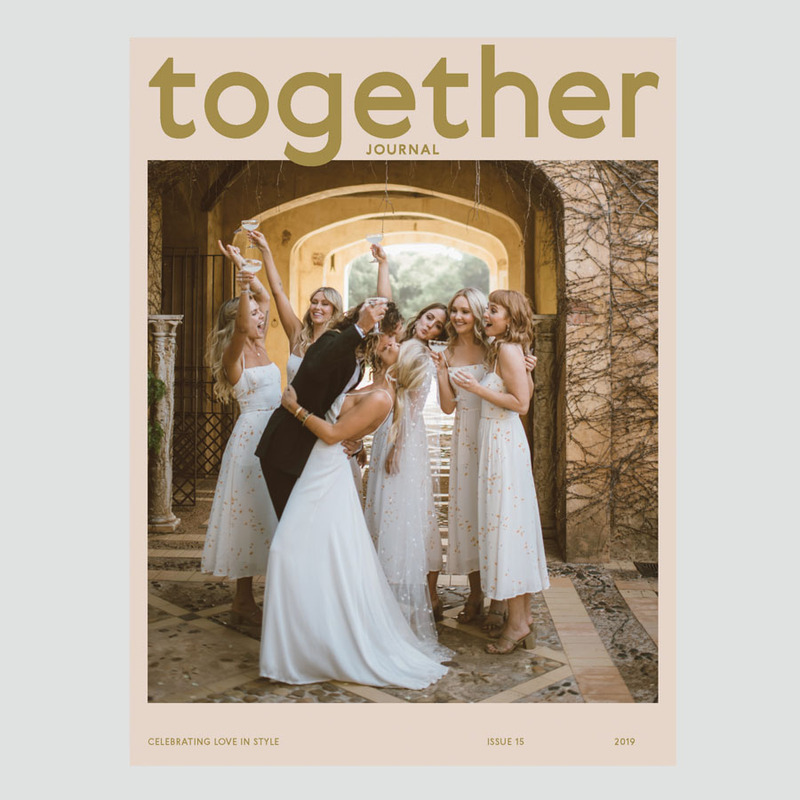 Emily and Will, the beautiful couple captured by Courtney Illfield on our cover, look exactly how we think everyone should feel on their wedding day – full of celebratory happiness and love. 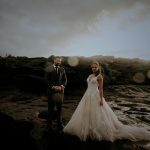 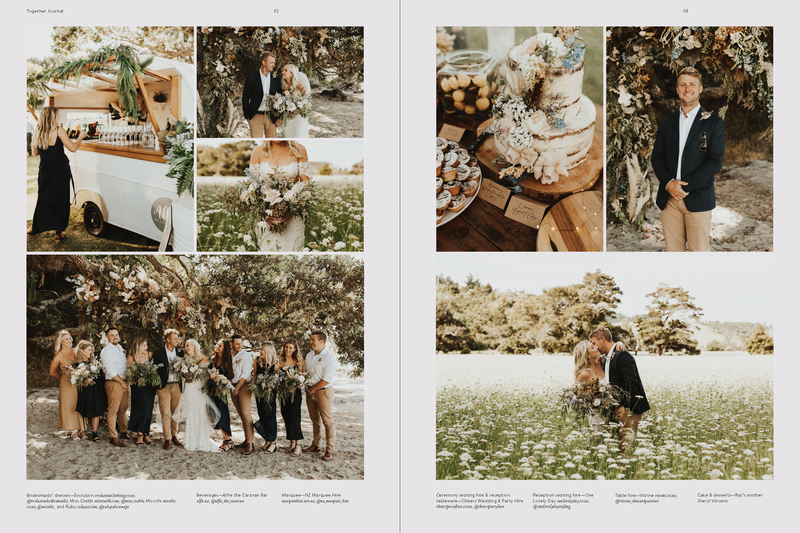 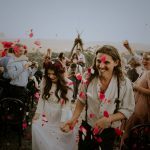 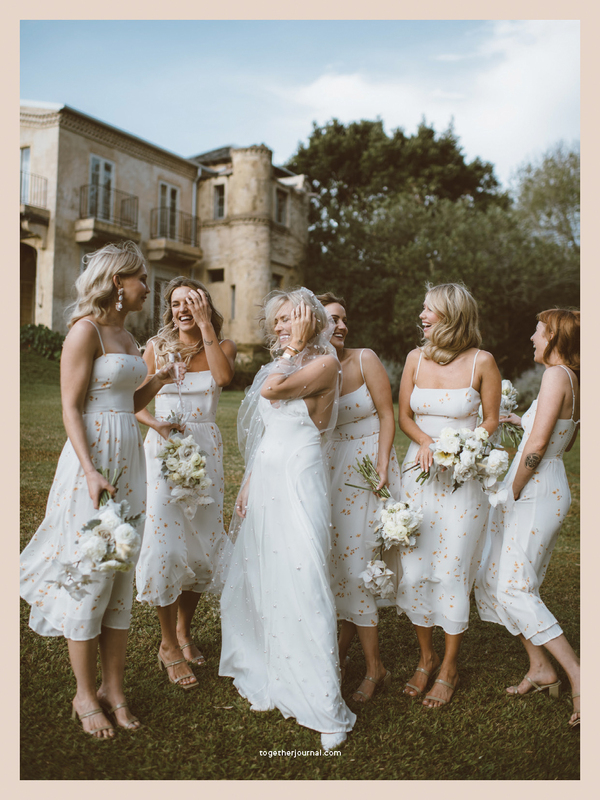 Their wedding was at Deux Belettes, a country guesthouse in Byron Bay, Australia, that could easily trick you into thinking you were deep in the countryside of Europe. 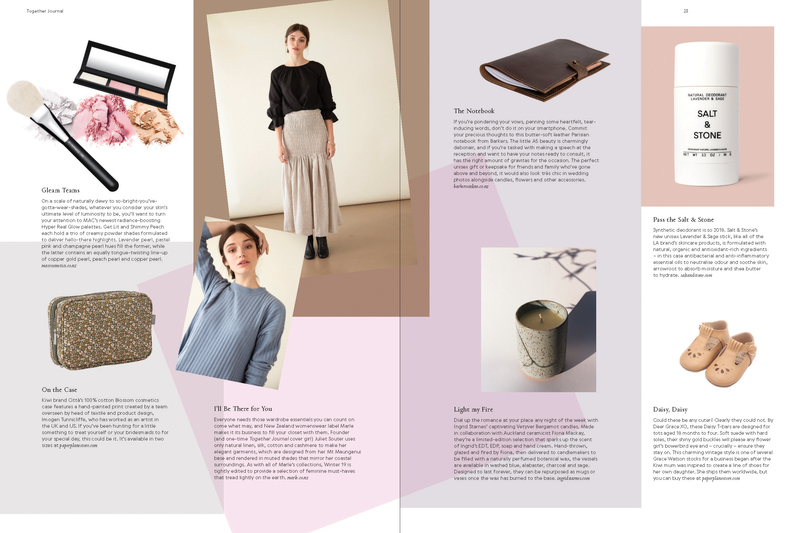 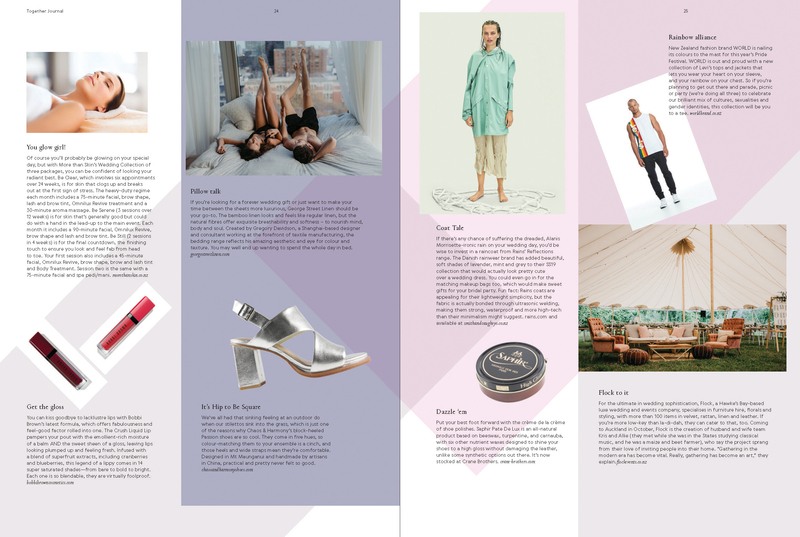 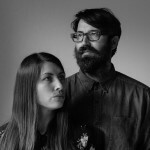 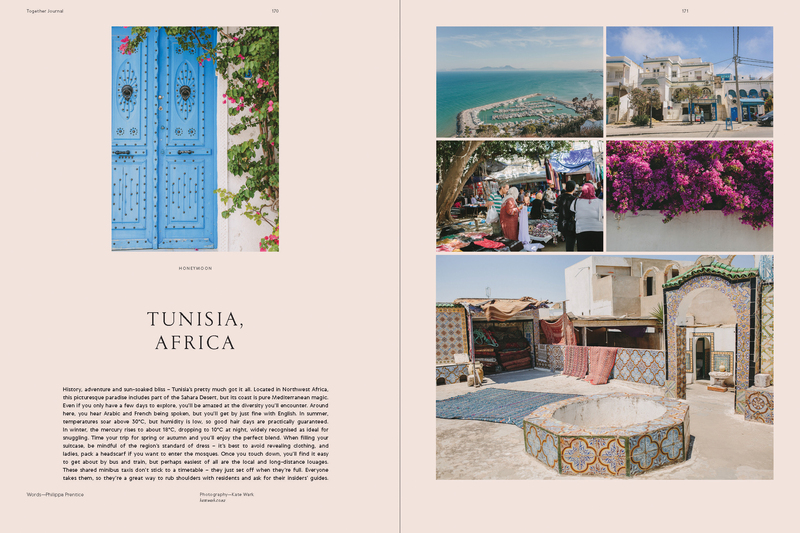 As the magazine evolves, we find ourselves hearing more and more stories from around the world. 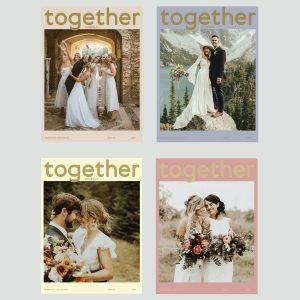 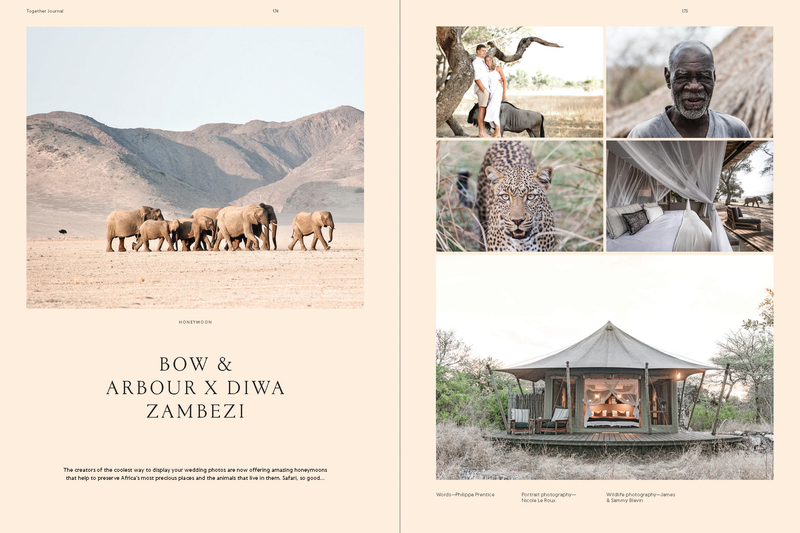 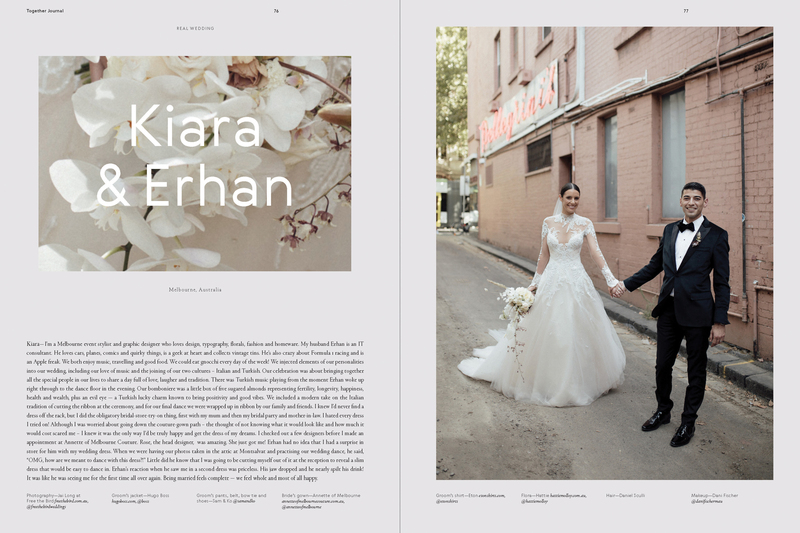 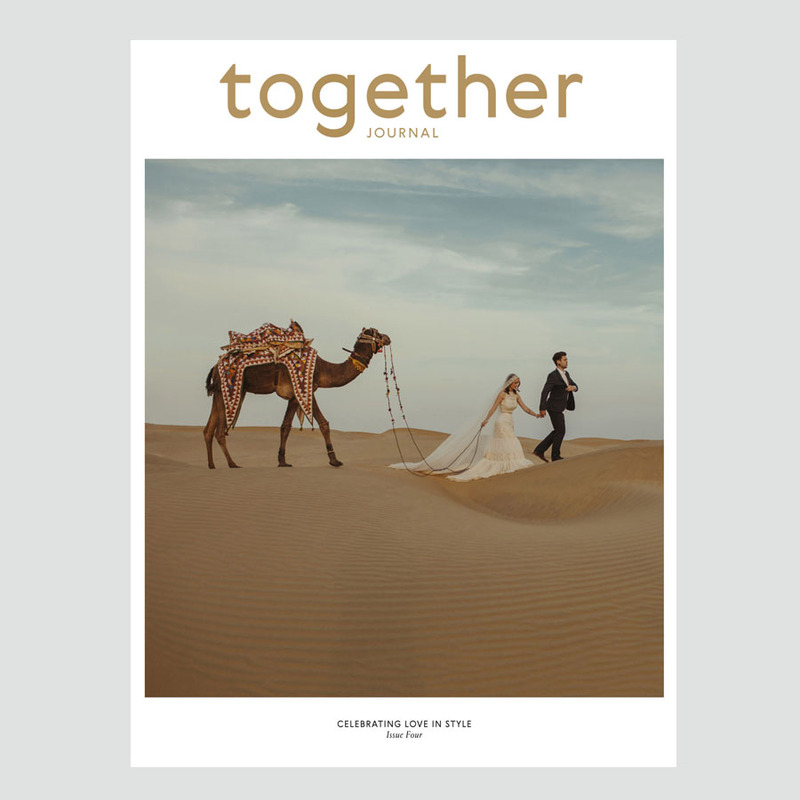 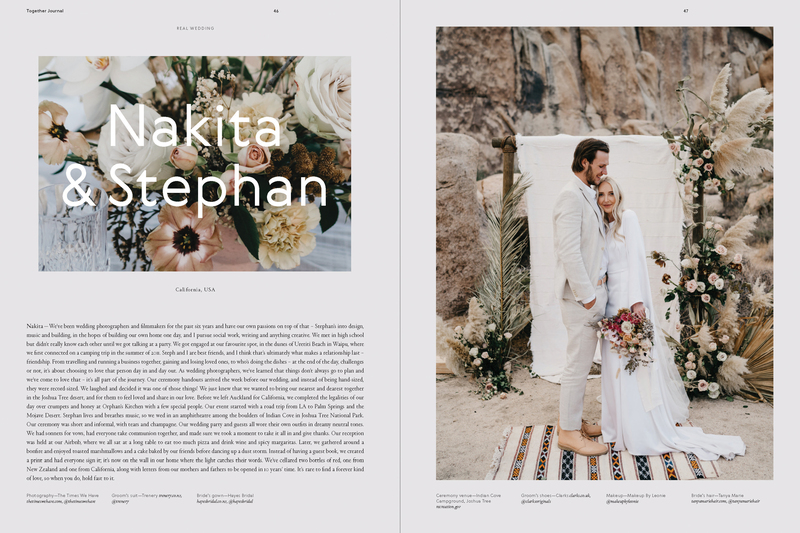 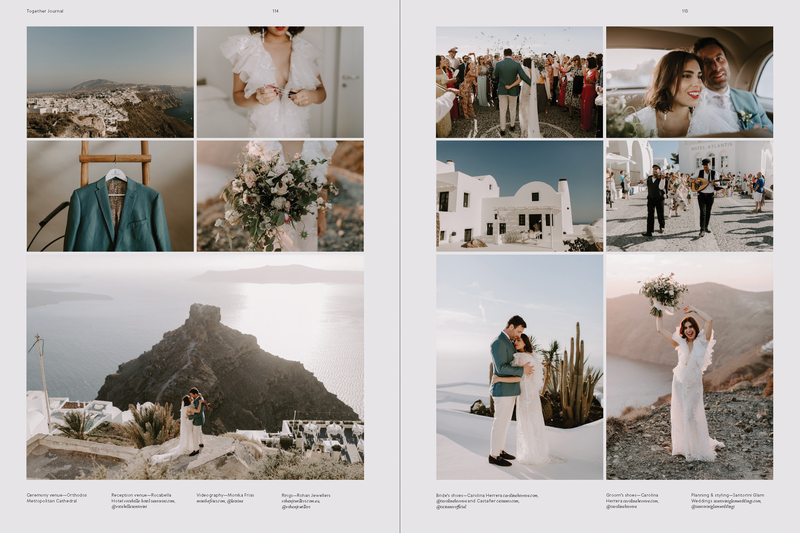 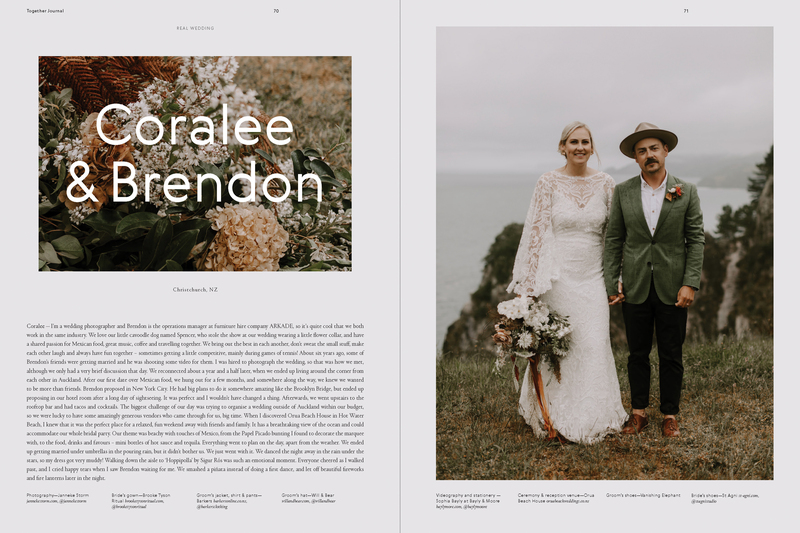 In this issue alone, we feature real-life weddings and honeymoon destinations in New Zealand, Australia, America, Europe and Africa. 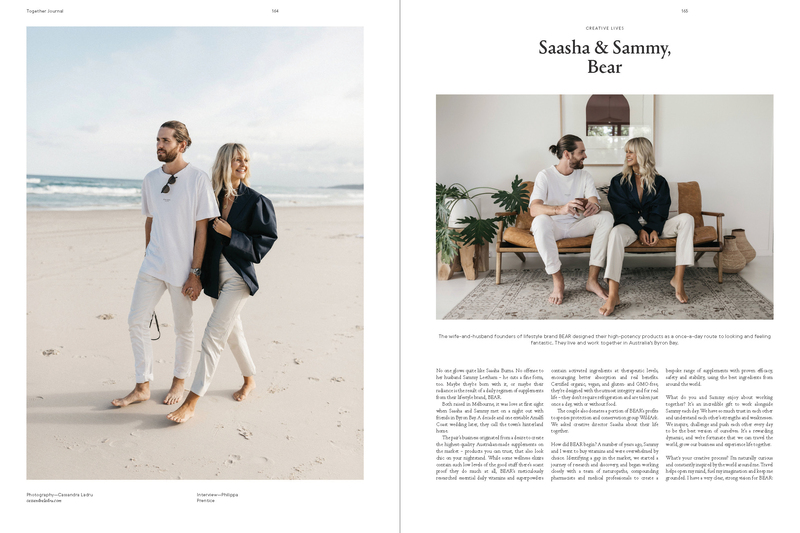 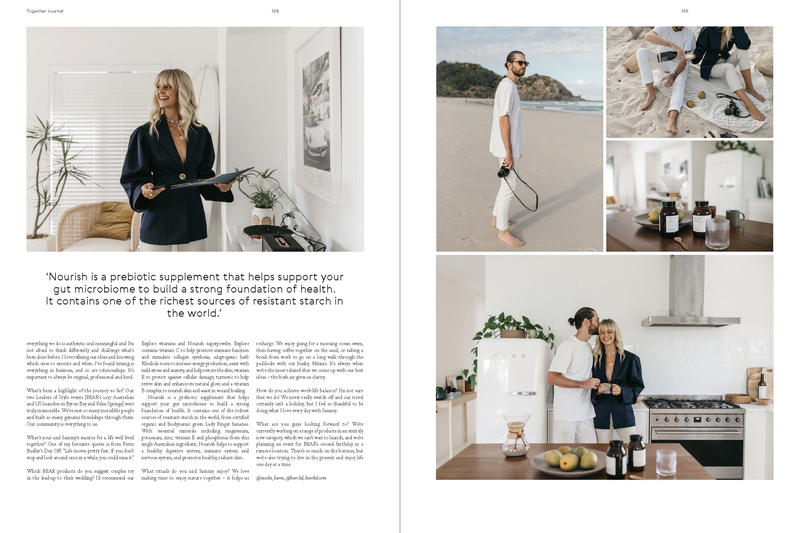 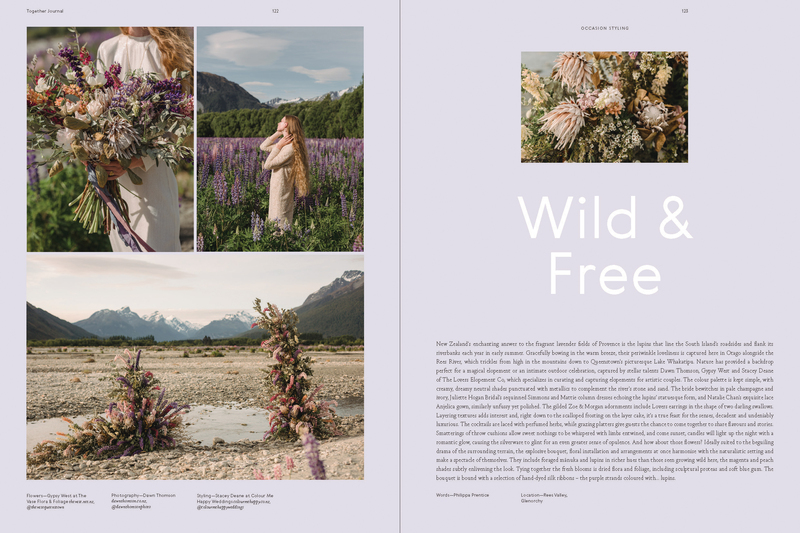 We spent time with Saasha and Sammy Burns, the couple behind lifestyle brand BEAR, to hear about their enviable nomadic lifestyle, and we road-tripped into the picturesque South Island of New Zealand to capture the fleeting beauty of Central Otago’s lupin flush for a dreamy shoot masterminded by The Lovers Elopement Co. 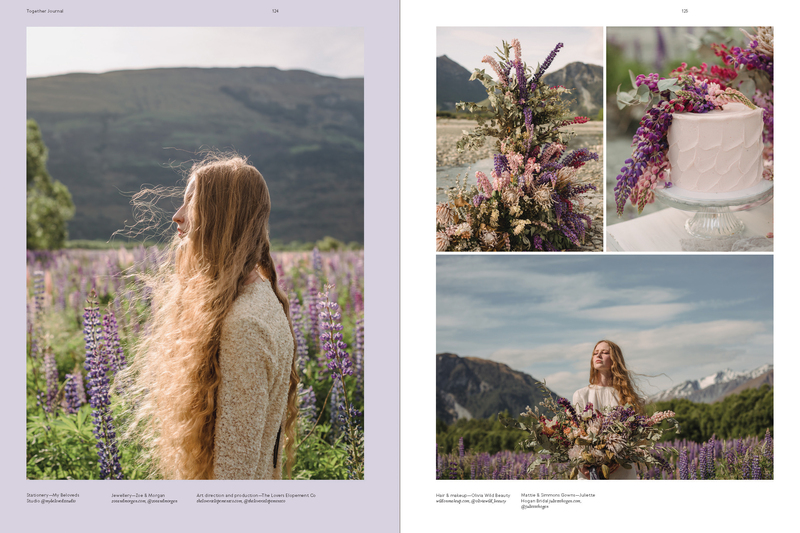 These fields of flowers, New Zealand’s answer to the fragrant lavender fields of Provence, only bloom for a few short weeks each summer and if you are ever lucky enough to catch this natural wonder, it will be a memory that stays with you forever. 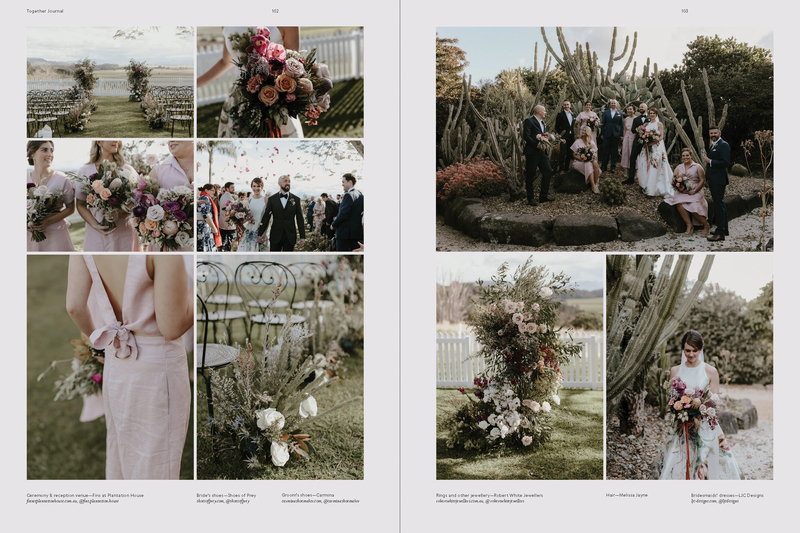 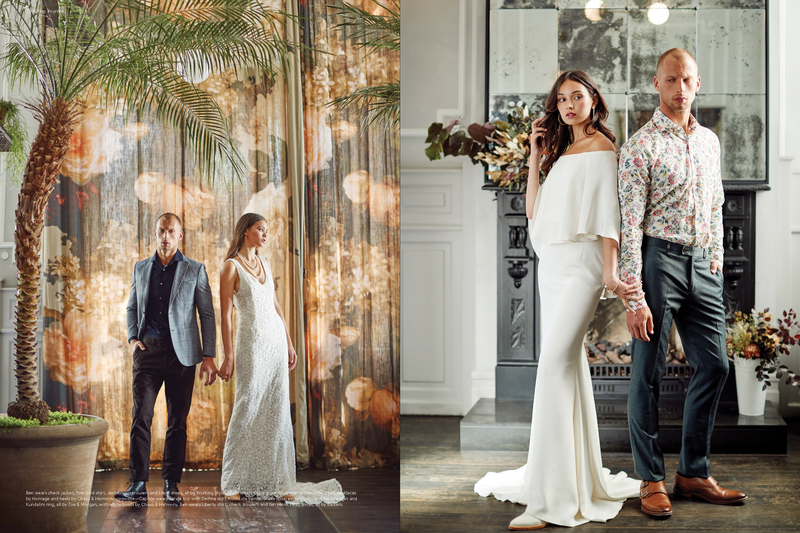 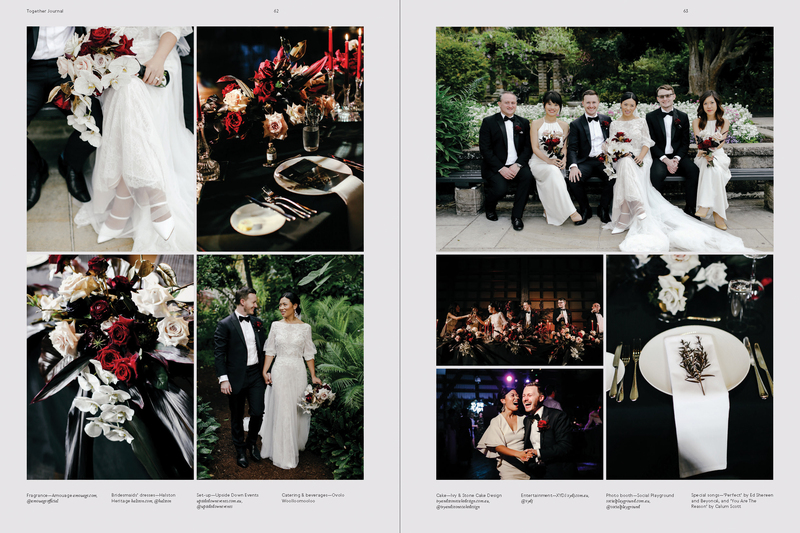 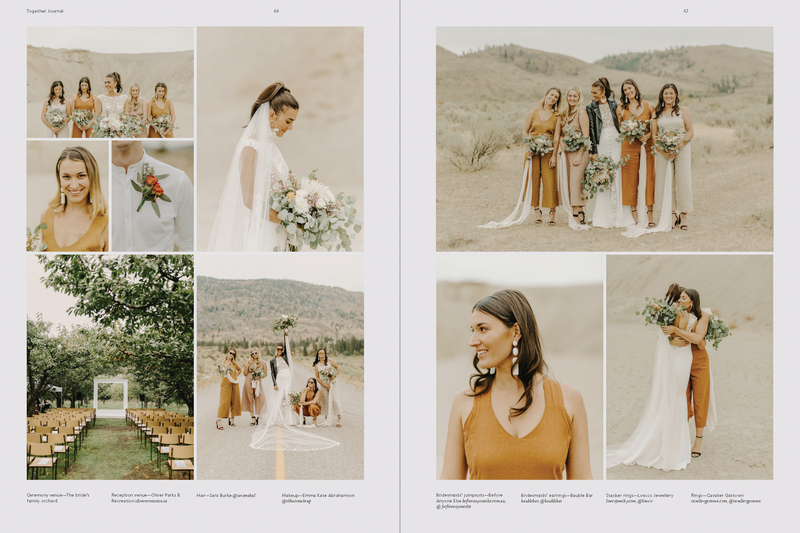 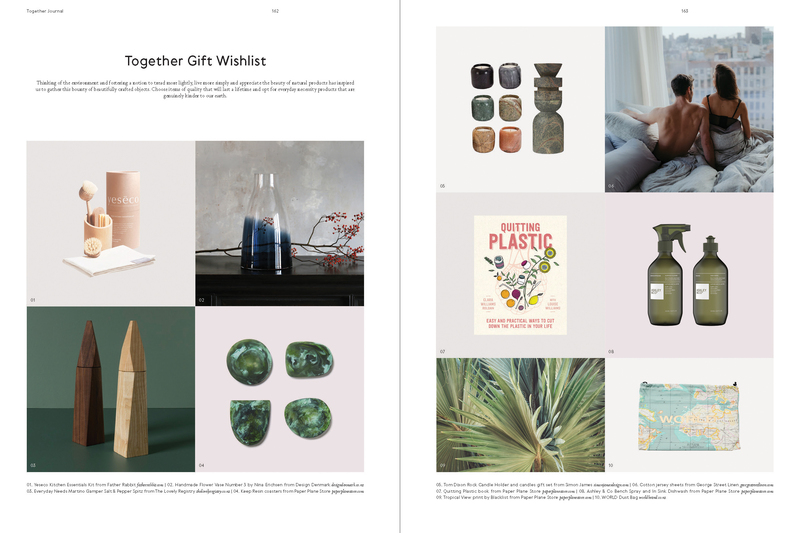 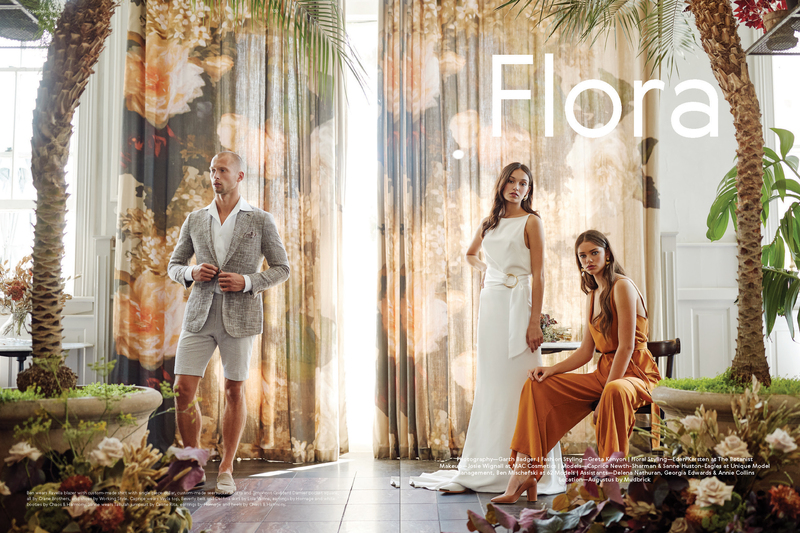 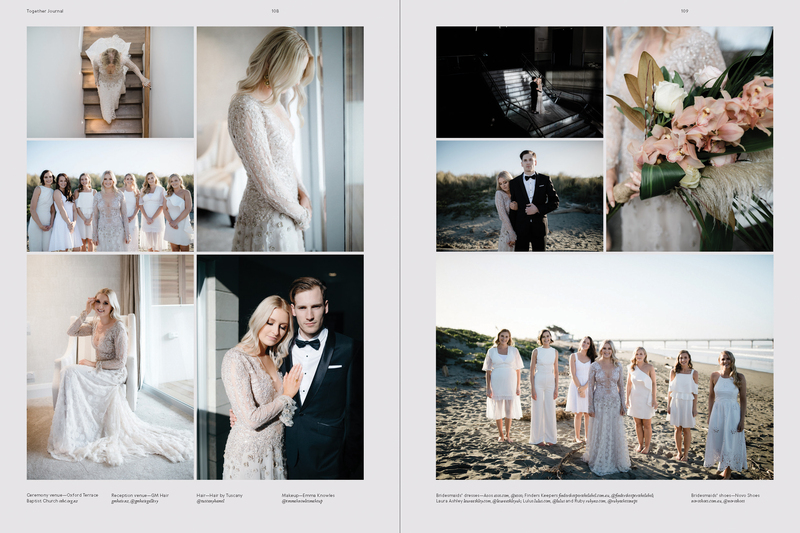 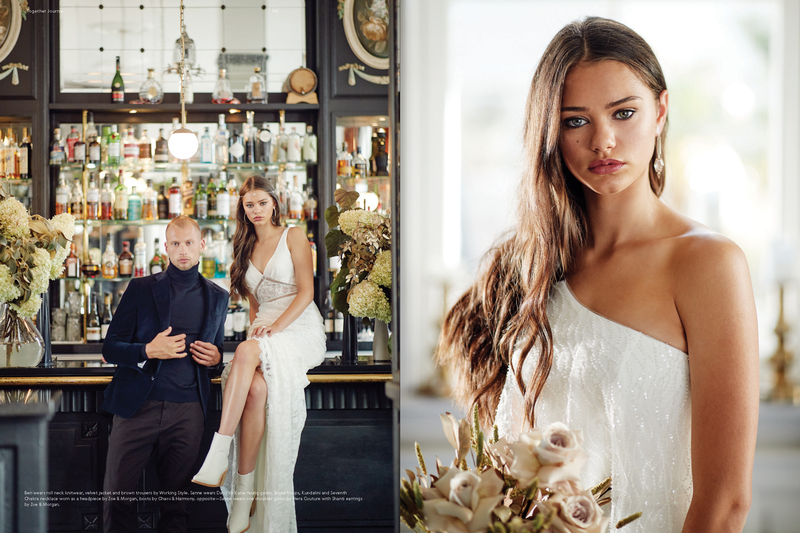 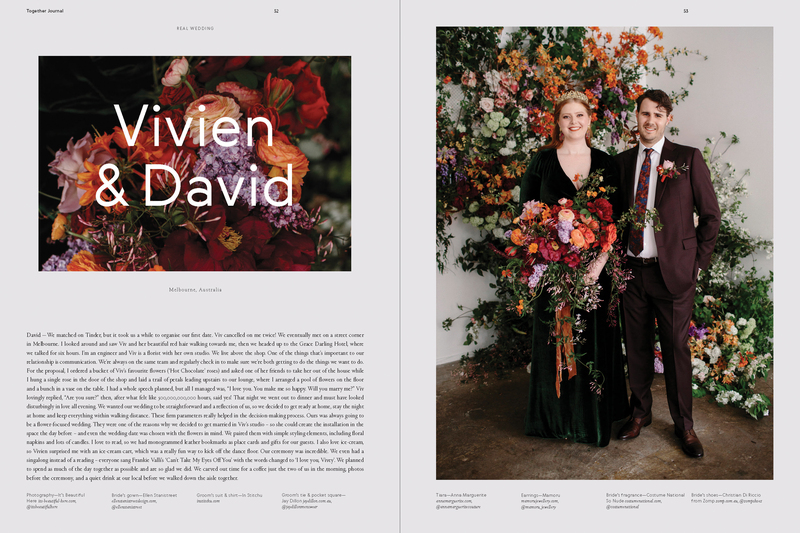 We also created sumptuous editorials in the newly acquired Augustus by Mudbrick and in New Zealand’s newest event space, The Glasshouse in Morningside. 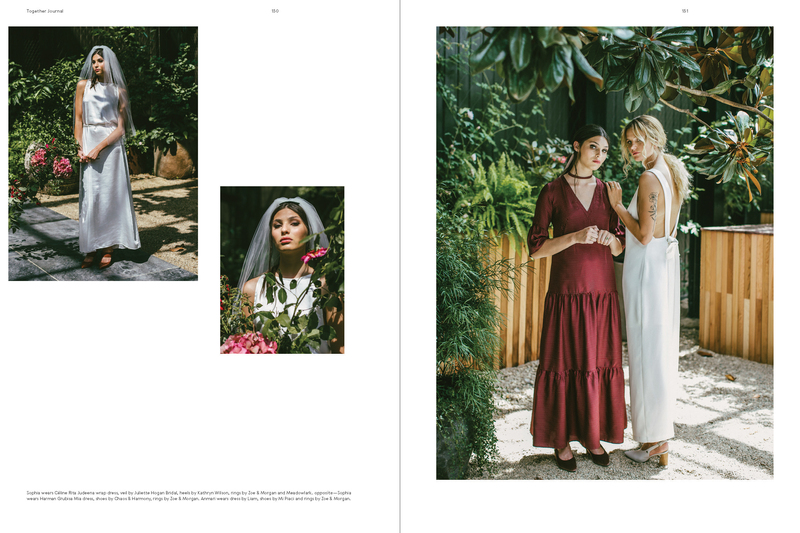 These shoots are brimming with the latest styles and silhouettes by designers both new and old, from New Zealand and further afield. 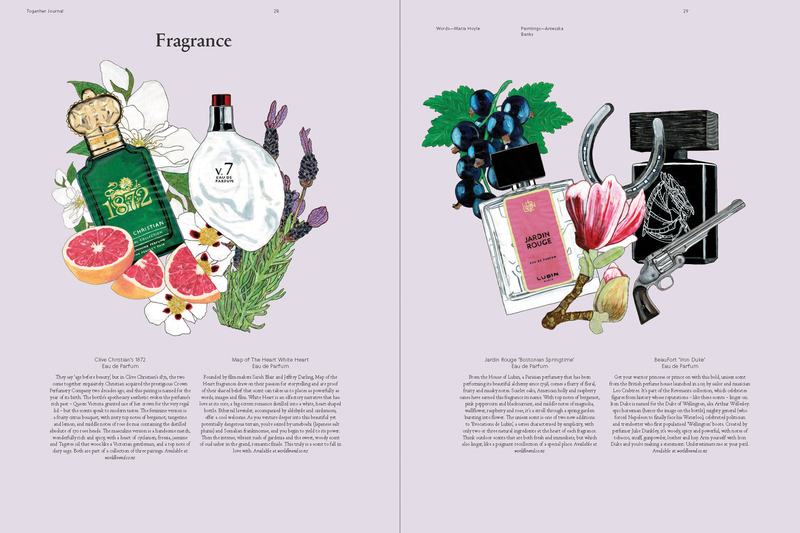 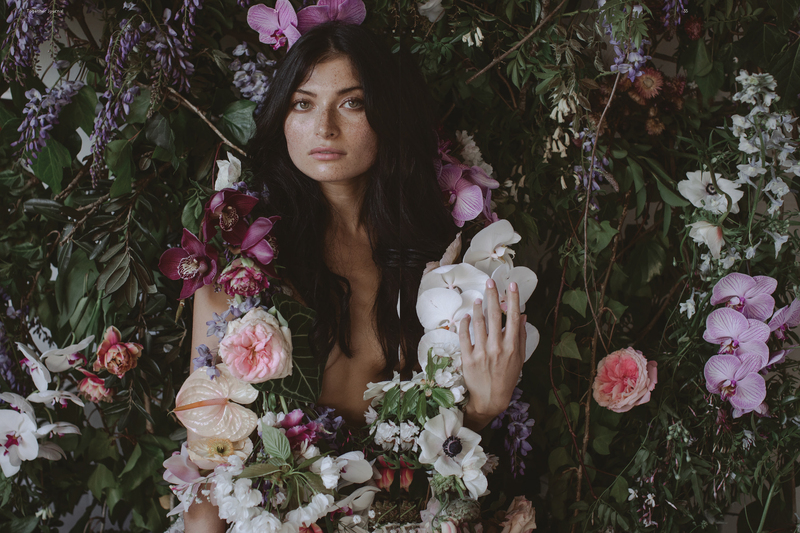 The florals within each are a sight to behold, as well. 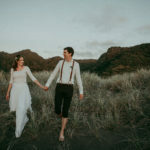 Our locations are as varied as the lives of those we have talked to, but there is always one constant thread: we seek out those who celebrate love in ways most true to their own hearts.